This tripod like piece of equipment is actually the gnomon, one of the Apollo lunar geology hand tools, and photometric chart assembly used as a photographic reference to establish local vertical Sun angle, scale and lunar color. 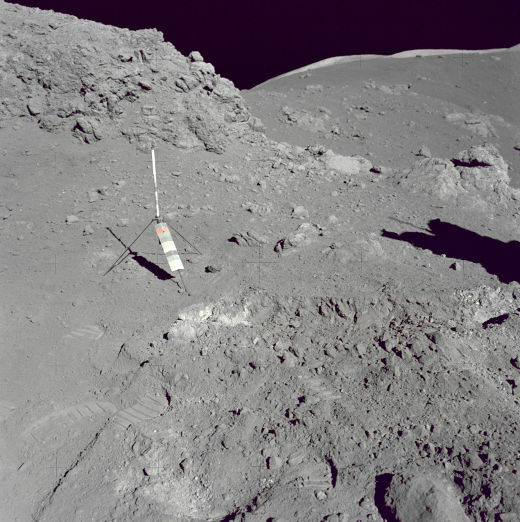 This picture is from the area at Station 4 (Shorty Crater) where the now famous orange soil was found by Apollo 17 crewmen Moon. This was during the second Apollo 17 extravehicular activity (EVA-2) at the Taurus-Littrow landing site. What look like astronaut footsteps are visible in the lower left portion of this picture from the moon. 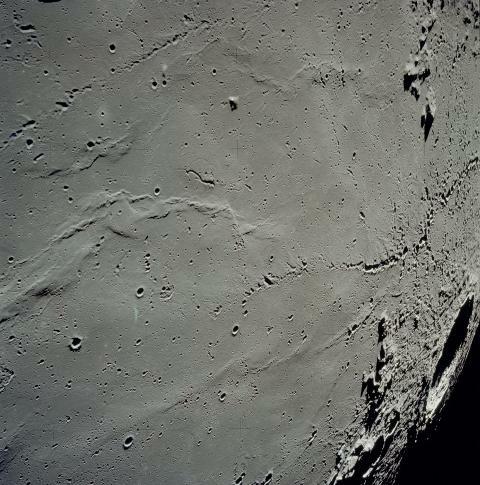 An Apollo 17 mission astronaut took this picture of the moon’s surface showing the barren lunar landscape with numerous craters, mountains and other geographical features. 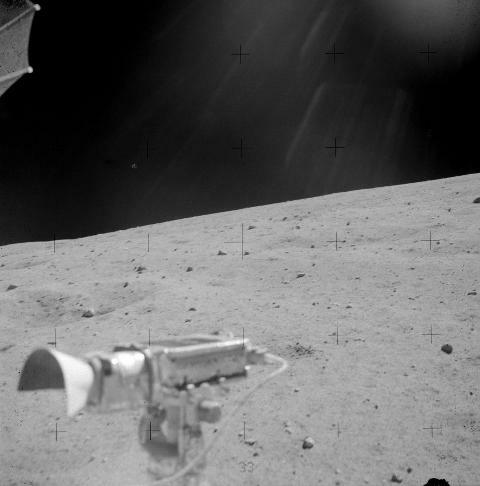 Apollo 16 mission’s picture of the video camera on the moon, taken from the Lunar Module “Orion” by astronauts. Apollo 16 was the tenth NASA mission to the Moon and the fifth (and last) to land a manned module on the Moon. Commander John Young, Lunar Module Pilot Charles Duke spent just under three days on the Moon in the lander while Ken Mattingly piloted the “Casper” Command/Service Module. Apollo 11’s Lunar Module / Lunar Excursion Module, about to end its mission on the Moon. The lander is seen here leaving the Moon’s surface to dock with the Command/Service Module (CSM). 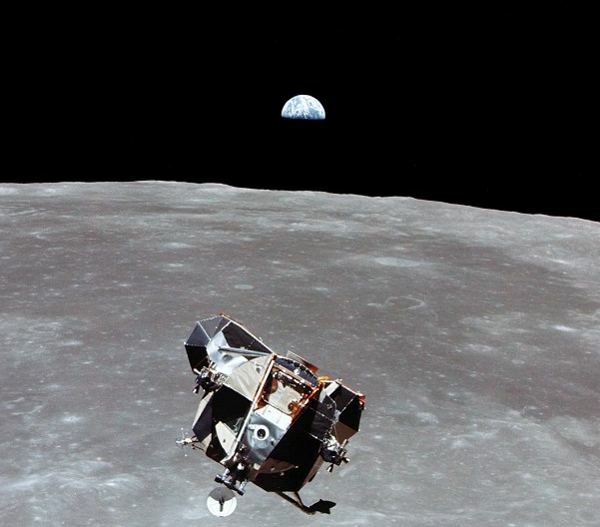 In the background is a picturesque “Earthrise” picture taken by astronaut Michael Collins in the Apollo CSM.